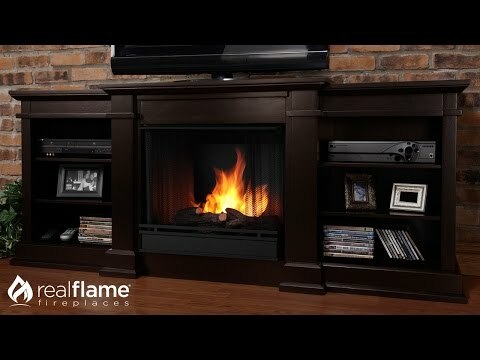 Enjoy the beauty of a Real Flame Electric fireplace, this substantial freestanding fireplace also doubles as an entertainment center. This unit is able to hold a television of 100 pounds or less and has adjustable shelving to accommodate most electronics. The Vivid Flame Electric Firebox plugs into any standard outlet for convenient set up. The features include remote control, programmable thermostat, timer function, brightness settings and ultra bright Vivid Flame LED technology. Provides supplemental heating for up to 1000 square feet. 24" 51 3/16" 42" 23"
1,000 Sq. Ft. 150 Sq. Ft. 400 Sq. Ft. 400 Sq. Ft.